NAACAM (National Association of Automotive Component and Allied Manufacturers) says it welcomes the finalisation of the SA Automotive Masterplan process and the announcement of the policy that will be used to achieve the objectives of the sector by 2035. The SA Automotive Masterplan has set out several objectives, including having a localisation rate of 60% and doubling employment in the whole sector by 2035. "It is our view that this process has been adequately robust. The end outcome is balanced and in the long-term interests of South Africa as a manufacturer of automotive products," said Ugo Frigerio, newly elected NAACAM president, and also CEO of KAP Automotive. "We are satisfied that NAACAM’s inputs were fully considered. The DTI under Minister Rob Davies should be congratulated for the high levels of engagement, and evidence-based decision making that led to this announcement," Frigerio added. The DTI has been clear about its long-term commitment to support the sector, as well as the benefits of having a deep and diverse supply chain in SA. #PostCabinet approved the extension of the APDP from 2021 to 2035 with amendments to support the South African Automotive Masterplan (SAAM). There is sufficient focus within the amended policy levers to move the domestic supplier base on an upward trajectory in terms of localisation, new venture and employment creation. "The conversion of what was previously purely an incentive for vehicle assembly, to one that factors in localisation is a step change in how assemblers will view domestic sourcing," stated Renai Moothilal, NAACAM Executive Director. "Similarly, the increased reward levels linked to duty credits for value addition will benefit component manufacturers. This will kick-start economic activity in the value chain, and help unlock some of the opportunities around transformation and employment," added Moothilal. With the high-level policy announcement now complete, NAACAM commits itself to assist the implementing authorities and key industry partners including the vehicle assemblers and labour to getting the systems and relationships in place that give effect to the planned policy outcomes. The future for South Africa’s automotive manufacturing industry in the post 2020 period is promising. We first reported on the proposed plan back in September. Take a look at the article below. 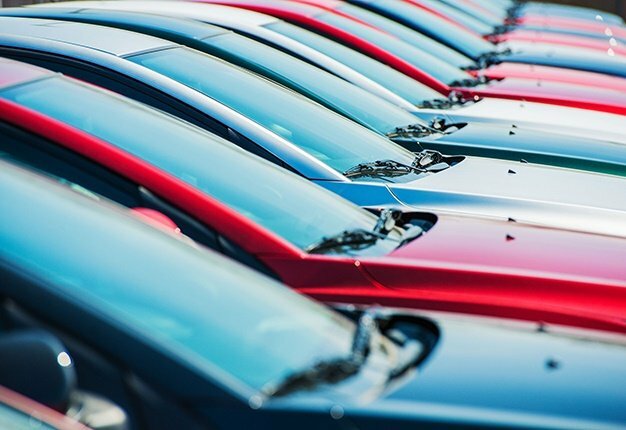 The Department of Trade and Industry (DTI) and the motor industry are close to finalising the "South African Automotive Masterplan" set to come into effect from January 2021 and run until 2035. Lionel October, director-general of the DTI, outlined the masterplan at the Naamsa Automotive Conference, part of the Festival of Motoring at the Kyalami Grand Prix Circuit in Gauteng.